I love Cloud Boy! The illustrations are quirky and more than adorable and the story is simple and sweet. The story begins with a sad and lonely cloud boy who soon creates all sorts of companions with the cloud fluffs around him. I do not believe it is in general print any longer but you can find it on Amazon used. Keep an eye out at your local library and or thrift shops. I think I picked up my copy from bookcloseouts.com. If you haven't checked out Book Closeouts, I highly recommend it though it can be dangerous. I also whipped up a lickety split art project you can do with your kiddos. Please be advised that I whipped this up as an example. 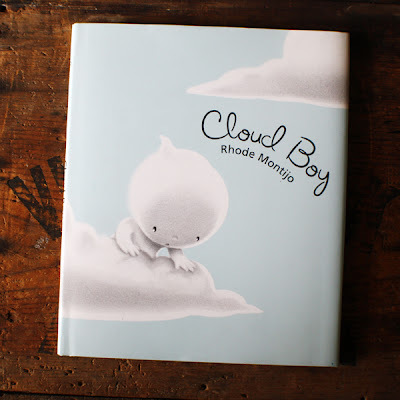 If I were doing this with kiddos, I would have them create their own versions of cloud boy and would expect something more magical than my sad interpretation of the boy in the book. 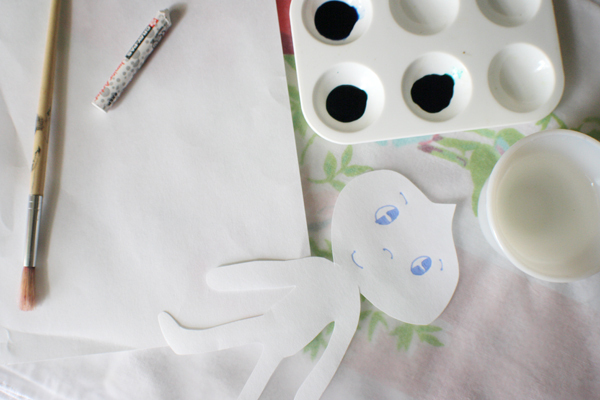 This project is more about technique and imagination than copying cloud boy himself. Gather up your materials and have your kiddos draw a handful of clouds on their white paper with a white crayon or oil pastel. They can do bits of fluff or happy shapes, it is up to them. 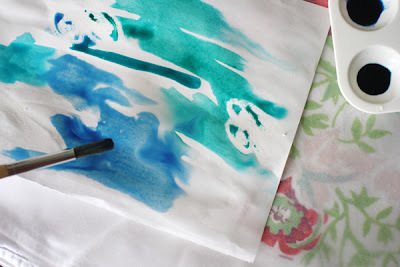 Use a wet paintbrush to wash the paper. 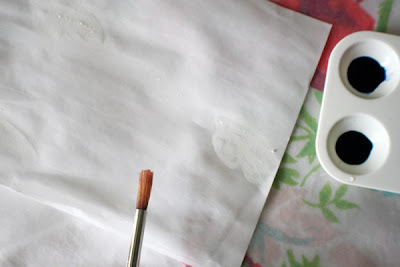 Make sure to cover the entire surface with a thin coat of water. 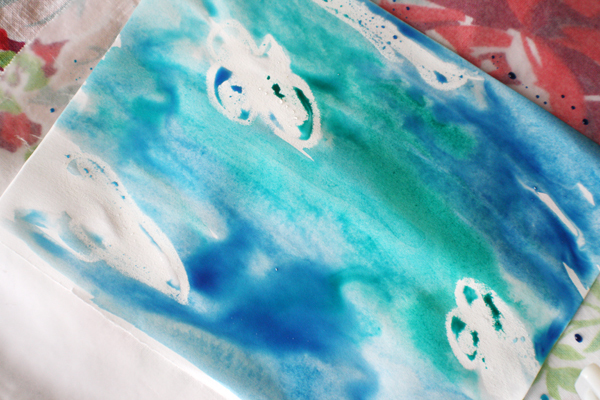 Dab brush in a small bit of watercolor and touch it to the damp paper. Have your kiddos watch the paint travel about and resist the areas with crayon. Add more than one shade if you wish or add one at a time, allowing for dry time before adding the next shade. 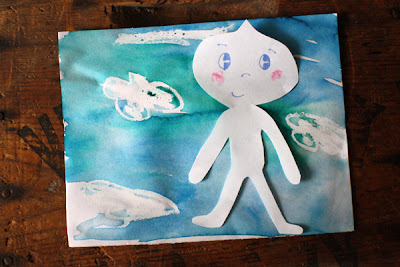 While paint is drying, have kiddos cut out and create their own cloud person. Glue to paper with glue stick and enjoy! November is Picture Book Month, check out the blog! November is Picture Book Month!